Charoula Gkioka leads strategic global partnerships and social responsibility programs at Amadeus, a leading provider of advanced technology solutions for the global travel industry. In her present role, she manages Technology for Good. Technology for Good is a collection of social responsibility projects where Amadeus partners with customers and NGOs. Amadeus helps them achieve inclusive social development and reach their fund raising commitments by providing technology and data solutions. Charoula has extensive experience in the field of strategy definition and management in the technology industry. 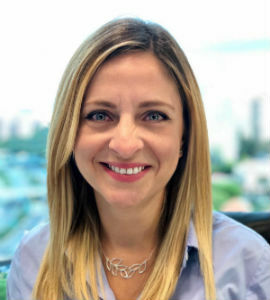 Prior to joining Amadeus, she worked at SAP for 10 years where she led the worldwide development and implementation of various strategic programs in the fields of vocational education and training, recruiting and mentoring in between others. Charoula holds a degree in Combined Modern Languages from the University of Portsmouth, UK, an Executive MBA from IE Business School in Madrid, Spain specializing in Tourism & Travel Management and various professional certifications.